First Williams-Sonoma Art of Preserving is about just what the title says: preserving. Jams, chutneys, pickles. If you can get it in a jar you can preserve it. It's not really the time of year for preserving where I live but there are so many recipes I want to try in the future (especially the Spiced Pumpkin Butter). The great things about these preserve recipes is how they also include recipes for using them. I made a yummy lemon curd, which I'm going to use in the lemon curd tartlet. Lemon curd is now my new favorite thing! The book is divided into categories: jams, preserves, jellies, butters, even condiments. The reference section explains the canning process, gives tips and even a recipe for making your own pectin. If you've ever been tempted by the fare at your local farmers' market but wonder what you'd do with it at home, you might like Cooking from the Farmers' Market . There are a ton of recipes for just about anything you can find throughout the growing season. I chose to make the Rustic Apple Crostata since I had a lot of apples in the fridge. It was very nice. I'll make it again. Of the two books, I liked The Art of Preserving more. I'd have more use for it throughout the year. 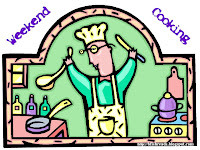 In the summer, I'd use the canning recipes and in the winter the cooking recipes. Both books have gorgeous, bright photography that makes everything look so delicious. The instructions are clear and easy to follow. If you've made anything from either of these books, I'd love to hear what and how it turned out. 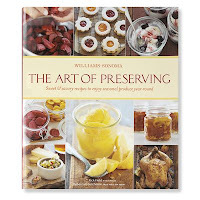 I'm definitely interested in the Preserving book as well. I have a ton of lemons right now and lemon curd sounds like a good solution. I'm off to see if this is at my library. My husbands been trying to talk me into preserving, but I've been holding back. I need to see if my library has this book. The ones I've seen so far are complicated and confusing. I got a pressure cooker last year that's big enough for canning, and I was thinking about putting up some preserves this summer. Thanks for the tip on this book! 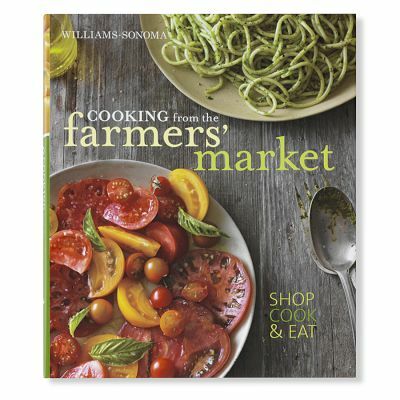 I have that farmers market cookbook and there are a lot of good recipes and good ideas in it. Lemon curd? One of my favorites. Margot- I love lemons! I put them in everything. Faith- It can be complicated. Start with something simple, like jam. Col- I've never tried pressure cooking. Good luck! Beth- So many recipes look good! BookGirl- Some of my favorite recipes use a freezer for storage. That eases my mind! Chinoiseries- I can't wait for pumpkin season! I love lemon curd. Didn't know you could 'can' it. I love lemon curd, and I never even thought of making it myself. I always think of it as a super indulgence. Preserving scares me; I don't know why. My mother made homemade strawberry jam and pickles when I was a girl, so it isn't as if I haven't seen it done. One of these days I will get the courage to try it.